Prophet Muhammad was sent to mankind as a Messenger of God about 600 years after Jesus Christ's rise to Heaven. And one of the prime missions of Prophet's coming was to make clear of the 'wrong concepts, inventions, fabrication and cutomizing' the teachings of Jesus. And in Quran, the Last Testament to Mankind, God makes clear of Jesus of such false teachings wrongly attributed to him. Most of which were by Paul's teaching not of Jesus himself (thats why in today's world the christianity we see is often referred as Pauline Christianity). Jesus never wanted to establish a new religion. His mission was to purify Judaism and speak against the monopoly with religion by the priests. The very word 'Christians' was derived may years after Jesus rose to heaven. It was the politics and monopoly of the early church that played with the teachings of Jesus, by destroying or totally hiding very important Gospels about Jesus. Gospel of Mary Magdalene was one such. Mary Magdalene was one of the most closest and dearest companion of Jesus, history has it recorded. Yet so unfortunate that her Gospel was not accpted. Why? Because it reveals Jesus in his most true nature, which goes against the depiction of the church and how they wanted it to be potrayed. Recently the Gospel of Judas is discovered and published. It has created a great motion in the west. 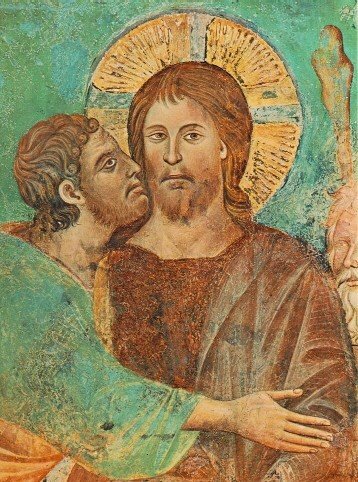 New York Times has published this thought provoking article on the Gospel of Judas. Take a look and may you discover Jesus, Actually. But the search shouldn't stop there, cause still the church puts its influence to downplay all these Gospels which gives true account of Jesus than the 4 Canonical Gospels which were written much later. So from historical point of view Gospel of Mary Magdalene and Judas should be more authentic, contemporary of Jesus and from someone who was direct companion of Jesus. :: Also excerpts from the Gospel can be found here. The entire englist text of the Gospel (recovered partly) can be found there. :: National Geographic also has this feature. Also check Wikipedia's entry on Gospel of Judas. :: If you are wondering who was Mary Magadalene, visit this site. May God bless the pure of soul of Jesus Christ. May his true teachings and his true nature be realized by the whole world. Amen.